The VIP B757’s unique design and onboard features make this aircraft very versatile. It can accommodate many types of private charter requests. GainJet Aviation is a leading worldwide private jet charter operator and management company. The company is based in Athens, Greece with an office in London, U.K. We have also established a subsidiary AOC operation based in Shannon, Ireland: GainJet Ireland. Our global network also includes strategic partners all over the world. Our large and versatile fleet offers a wide range of VIP aircraft, positioned throughout Europe and the Middle-East to provide our clients with the best VIP travel solution for their requirements. We offer a customized travel experience tailored to your specific needs. Whatever your travel requirements may be, our leading team of professionals is available 24/7 to ensure that these requirements are met with the highest standards of passenger care. So enjoy your flight and let us take care of the rest. Our executive aircraft service offers a broad range of flexible terms for individual and group charter, including government, corporate, incentive, showbiz, and sports travel. For frequent travelers, we also offer short and long term lease arrangements. Our aircraft management service is powered by a wide array of resources and administered by highly experienced professionals, in order to ease the complex adversity of owning an aircraft and to maximize return on investment. 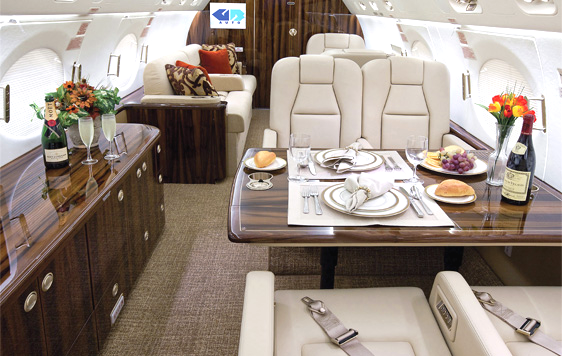 Our fleet comprises of a wide variety of VIP aircraft including executive airliners and ultra-long range business jets. We can ensure the right aircraft is used that best fits your travel requirements. We hold an EU-OPS, U.S FAA Part 129 & Canadian FAOC Air Operator Certificates (AOC), allowing us to operate globally. Wherever your journey takes you, we fly you where you want, when you want. As a European Business Awards 2012/13 Ruban d'honneur winner in customer focus, we take pride in truly being customer oriented. Our aspiration is to provide the utmost customer satisfaction. The GainJet team is made up of highly experienced aviation professionals and innovative managers, all of whom are working round the clock to ensure a smooth & satisfactory operation. We believe safety and security are our top priorities. We have embedded safety culture as an integral part of our operation. We go above and beyond the rules and regulations set by EASA and JAA. We have passed extensive auditing by IBAC & Wyvern. We are proud to be approved as an ISBAO & Wingman operator. We offer ISBAO consulting services for operators interested in ISBAO accreditation. 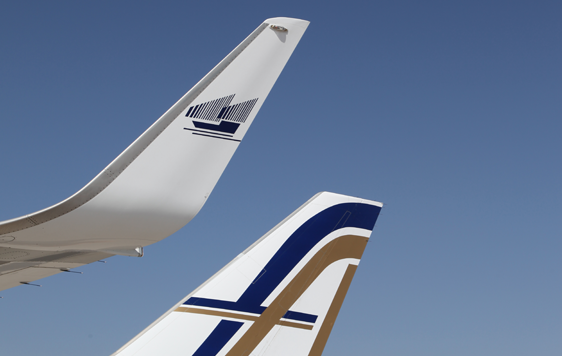 GainJet has established close relationships with the major business aircraft manufacturers, which clients can benefit from. For example, we’ve taken delivery of 18 Gulfstream aircraft alone. We have established relationships with service providers all around the globe in order to ensure quick and efficient service, and avoid delays. We understand your time is valuable. What's new on our networks? OUR NUMBER 1 PRIORITY IS SAFETY Our commitment to provide an exceptional flight experience starts with safety. No compromise.